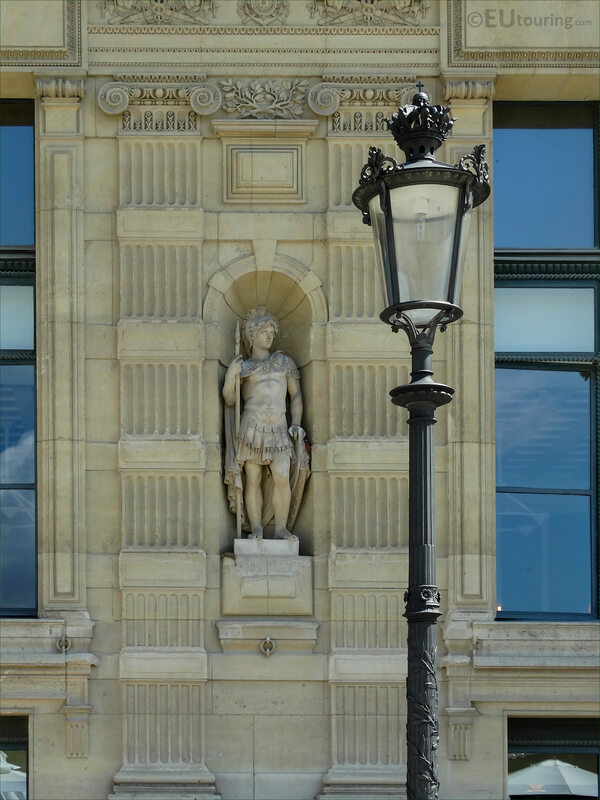 We were in the 1st Arrondissement of Paris at the Musee du Louvre, when we took these high definition photos showing a statue called Guerrier Romain, which was sculpted by Pierre Alfred Robinet. 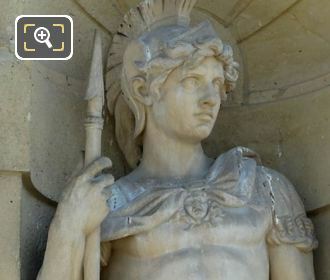 This first HD photo shows the statue called Guerrier Romain, which in English translates to Roman Warrior, and during the restoration and improvements that were taking place on the former Palais du Louvre back in the 1800s, this was placed within a niche on the Aile de Marsan in 1866. But here you can see a close up showing the detailing that went into producing this Roman Warrior statue, which was by Pierre Alfred Robinet who was born in Paris in 1814, and entering the Ecole des Beaux Arts he studied under James Pradier and David d'Angers to become a French sculptor. 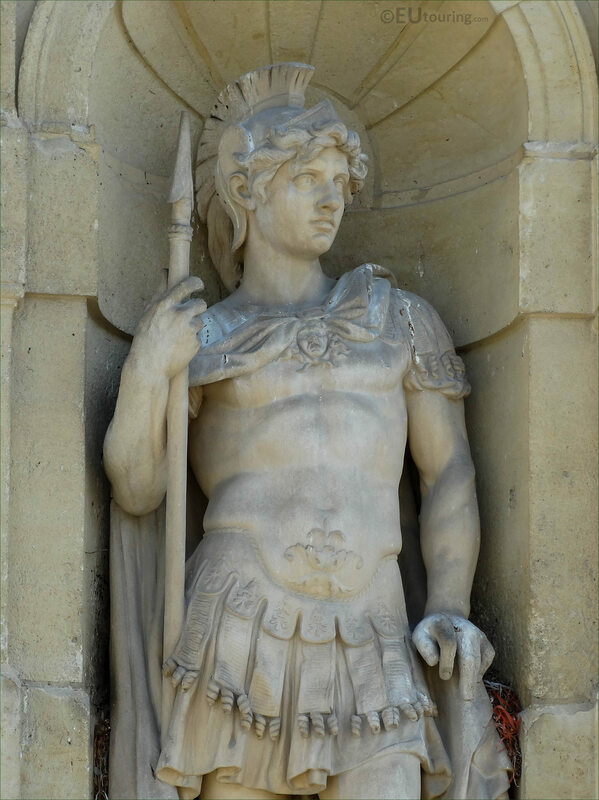 Pierre Alfred Robinet received many public commissions for different statues including several for The Louvre and different churches, plus he executed numerous busts, and utilised different materials such as bronze, marble and stone like for this statue. 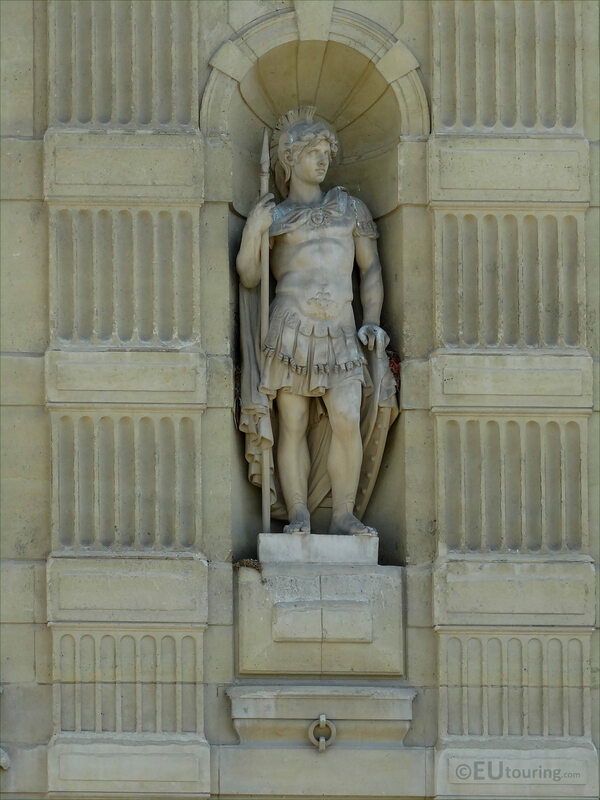 So here you can see the statue of Guerrier Romain located within one of the many niches on the facade of the Aile de Marsan, and when you are looking at this wing of the Louvre Museum from the courtyard called the Cour du Carrousel, you will see this is on the first level and is positioned second from the right hand side.